Affiché le octobre 15, 2013 par Roland U.S.
Roland’s acclaimed SuperNATURAL® Piano Sound Engine evolves with Acoustic Projection technology — an innovative, multi-dimensional sound system built into the new HP-505. Acoustic Projection is inspired by the flagship V-Piano Grand and its ability to reproduce the natural sound field of an acoustic piano. 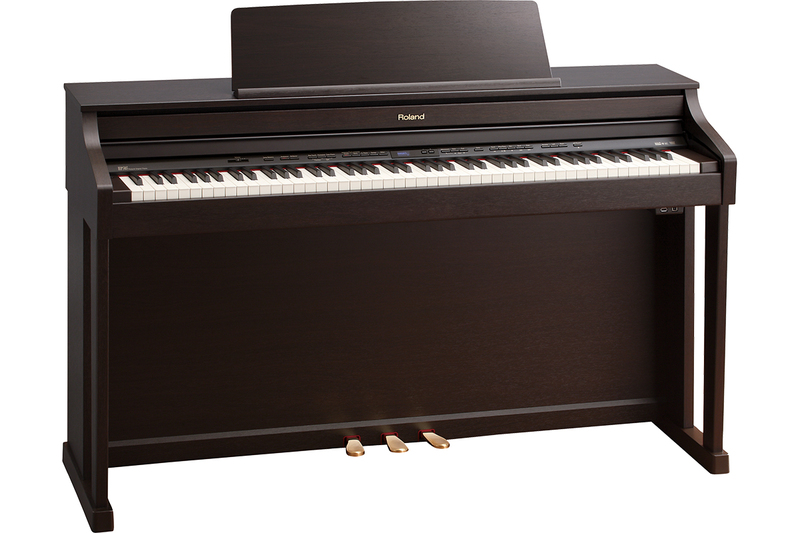 The marriage of Roland’s world-leading technologies in the HP-505 empowers pianists with a complete, immersive acoustic-piano experience.